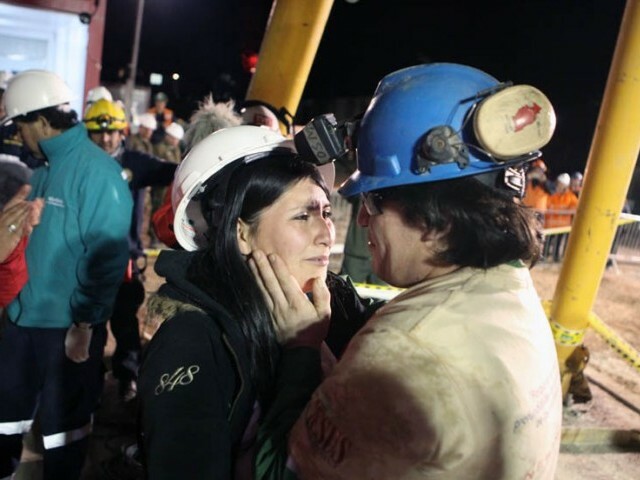 The joy that the families of the rescued miners in Chile experienced after their members were winched to the surface from a two-month ordeal of being trapped in a coal mine was shared by millions across the globe. And then there was no looking back. As the news poured in on the television screens, it was a delight to watch the happy faces of hundreds of Chileans who had gathered to greet the trapped miners. Even the presence of Chilean President Sebastian Pinera could not lessen the deafening noise of cheers, applause and horns on the sight of every arrival. It seemed as if nothing could mar the celebrations at Camp Hope, a place baptized by hundreds of relatives of the miners who waited in hope to see their loved ones return safe. The unprecedented challenge that the Chilean government undertook – drilling for months followed by a harrowing three-hour trip in a cage up a narrow hole carved through solid rock is indeed commendable. From “facing the most unusual rescue that has ever been dealt with” to dealing with the media pressure which was further aggravated by the international observers, Chile came out a clear winner. While the technical aspects of saving the lives of the 33 trapped miners ranged from using a 31-ton drill to create a pilot hole from the floor of the Atacama Desert down 2,200 to the area in the San Jose mine where the men waited, carving out a 26 inches wide rescue chimney, the Herculean task of guiding the drill through solid rock and keeping the drill rod as well as the hopes of the people- both above and under the ground, from being bogged down as it neared its target has been extraordinary. Moreover, in spite of having had masses of help from the mining industry around the world, the way the Chilean government handled the situation, especially the media, has been exemplary. Though the initiatives taken and the planning implemented has set an example in the history of disaster risk management, turning a new page for every rescue effort worldwide, it has also brought to forefront the importance of respect of other’s life and honouring one’s countrymen, no matter how small or big they are in number. And while the television screen continued to show the jubilant faces of the miners seeing the daylight, I could not help but wonder how the situation would have been handled here in Pakistan, the land of pure. With every miner sifting his way through the shaft, I was reminded of the precious lives lost during the earthquake in 2005, where hundreds of people could have lived to narrate their stories, had they been rescued on time. The episode also brought back memories of tiny voices, heard through concrete debris, complaining about suffocating dust, water and dark – trapped in what had once been their classrooms. How can one nation forget the plight of the helpless parents using picks, shovels and their bare hands in a desperate attempt to reach to the 850 children trapped in the rubble of two schools in the Balakot valley. The nation watched with grief as thousands of lives were razed with a single sweep, leaving behind ‘Shehe e Khamoshan’ or the City of Dead. Post 2005, Pakistan has had a fair share of natural/man-made disasters, both of big and small intensity. Be it the recent catastrophic floods that ravaged one-fifth of the country, leaving behind more than 1600 people dead and more than 20 million affected, or the massive landslide which swept many villages in the Hunza Valley earlier this year, which dammed up the Hunza river with a severe risk of flooding, cut off parts of Karakoram Highway and left tens of thousands to survive the winter without supplies, are just but a few examples that speak volumes about the dearth of and subsequent need for stronger and efficient disaster management systems in the country. Although the need for strong institutional and policy arrangements to address disaster risk management in Pakistan was fulfilled with the establishment of the National Disaster Management Commission (NDMC), the National Disaster Management Authority (NDMA), and the passing of the National Disaster Management Ordinance, 2006, much is left to be desired when it comes to implementing these policies into concrete actions, actions which can then be gauged through risk reduction and pre-preparedness in the wake of disasters. Unfortunately, the response of the government agencies in such situations often caters to post disaster management efforts and can be best described as reactive. Pakistan is vulnerable to climate change, population exodus and depletion of natural resources. To add to it, we now suffer from many man-induced disaster situations, a part of which can be blamed on a fall out of situation along our western borders. Moreover, absence of infrastructure planning and demographic surveys further puts the citizens at risk. A metropolitan city like Karachi without a master plan is just one example of the larger picture. We need to understand at national level that every problem has a root cause, and that they do not arise overnight, like our sprawling cities and towns. Historically, disaster management in Pakistan has revolved around rescue and relief efforts only. After each disaster, the government incurs considerable expenditure towards relief and rehabilitation in addition to the loss of development funding which is diverted to meet critical needs. What we also need today is proper governance that takes up the daunting task of making sure that its policies are implemented instead of lying dormant in government files. We as a nation also need to understand that while the government in charge of recovery often becomes the target of criticism – for a slow response, misuse of funds, or any number of things gone awry, it is our collective responsibility to inculcate the training of disaster preparedness/self survival amongst ourselves, especially in the more vulnerable segments of population including children and women. While tragedies can bind a nation together, why not let happiness and safety strengthen this bond? As it has of the Chilean nation, where cheers and laughter today resonated in every corner of the country and where respect for human life has breathed a new soul of freedom in humanity. Kudos to chilean government. Witnessing the rescue work live on television myself created both happiness and despair. Happiness because 33 lives were saved with the efforts of all those involved in rescue work including the President himself. I cant forget the sheer joy on his face when he was briefing the media, almost 2 months back, that all 33 miners are alive there and the hope in his voice to rescue them from 2200 feet underneath told and proved yesterday that there is no substitute of ‘HOPE with EFFORT’ if you really want to achieve something. Despair because I was thinking about my very own country and nation and loss of hundreds and thousands of lives every month, which has become so usual that we just watch and listen to the news whenever we hear of any suicide bomb blast or target killing incident. Most we do is calling few friends and relatives if they are safe and at home. The miraculous achievement by the Chilean people is called unity, faith, and discipline in action. I am just so glad that somebody wrote something about the miners on these pages. Otherwise I was really disappointed that maybe Pakistanis have just forgotten about what it might really feel like to see the dignity of human life. Watching the news by Pakistani standards, we might have thought 33(only? ), seriously we have seen many more than that number of people die in an instant in our country and no one really seemed too concerned after a few moments!! 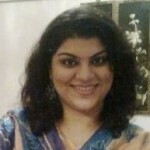 I live outside of Pakistan and only have access to Pakistani news through online media. So, whenever I open news pages, all I see are headlines that are not as nearly relevent to the common man. Headlines about NRO, NAB, ISI, PIA, CIA,…. (and a few other rubbish three letter words), Musharaf’s tales, Sharif’s sob stories, Gilani’s jokes or Zardari’s yellow teeth etc. It was so heartening to see a happy story about human endurance, faith, strength of mind and character. The way the Chilean President stood at the mine in Copiapo for the last 24 to 48 hours must have really told his country men that there is nothing more important to him then them. We have all seen our President smiling at photo ops in France and the UK when 20 million of this country’s citizens were drowning in Flood water. That was his moment, even if it would only have been for the media but he LOST IT! The people in Pakistan & around the world showed that they had no trust in the government whereas the Chilean government took over the mine from the mining company and rescued them. Why? because simply they were their country men, they were their citizens. The comments of Fatima and Humanity are spot on. Thank you all for your valuable feedback. When we talk about the rescue episode as that of unity, faith and discipline we should also not forget that it is the indomitable spirit of Chileans that we in the region lack. We all need that doggedness; it is not merely structural arrangements. And yet we, atleast me, cannot get over the fact that the First Lady of Chile camped at the mine site without any pomp for nearly three days! Pakistan has a very complicated society.